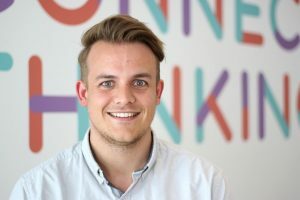 Manchester agency One has appointed James Summerscales as business development manager. Summerscales moves from recruitment advertising agency, Jupiter, and will be working alongside One’s senior management team securing new clients and business across the entire agency. He said: “What I really like about One is the truth behind the name, it really is an agency where everyone works as one to produce amazing work for clients. One works with clients including Euler Hermes, Hoover, Taylor Wimpey, United Utilities and York Racecourse.